Hello, our names our Paige Peters and Sophia Christian. We are working to bring change to The Great Lakes. Our goal is to spread awareness about the rising level of PFAS(perfluorooctanesulfonic acid) in The Great Lakes, as well the need for an amendment of The Great Lakes Compact. We are both eighth graders at the Elk Rapids Cherryland Middle School that will be taking on the challenge of paddling across The Straits of Mackinac. 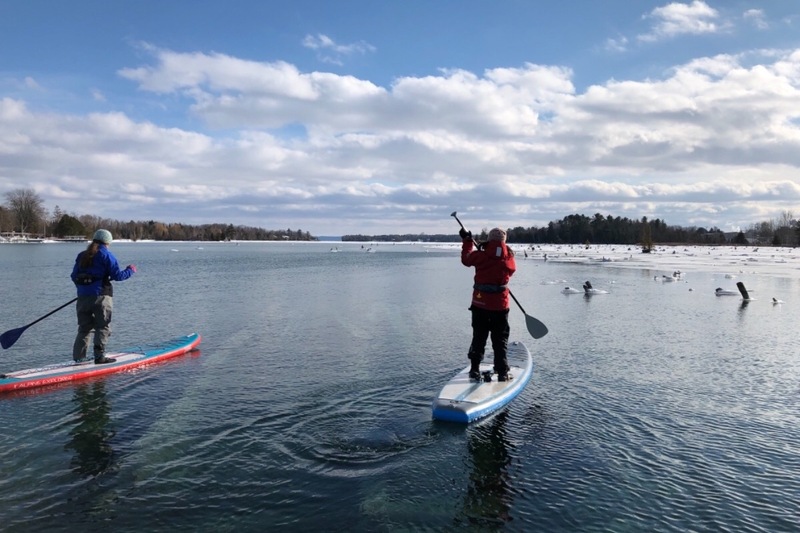 We will be paddling with Kwin Morris, the co-founder of the non-profit organization Stand Up for Great Lakes, who is also our eighth grade science teacher. We are doing this because The Great Lakes are not only a source of enjoyment, they contain one of the most valuable resources in the world. Water. The Great Lakes contain twenty percent of the Earth’s freshwater. Therefore, it is vital that the human population works to protect and preserve the priceless water that surrounds Michigan. Please, join us in helping the world become a better place.